The data is still being peer-reviewed, but we're fairly certain at this point that science has proven there's no bad day to eat a burrito. Despite these findings, it turns out that there is an especially good day to eat a burrito. It's April 4, because that, friends, is National Burrito Day. Whether you're a true burrito stan or looking to skirt the rules and pick up some tacos, there are loads of deals to be found on National Burrito Day this Thursday. 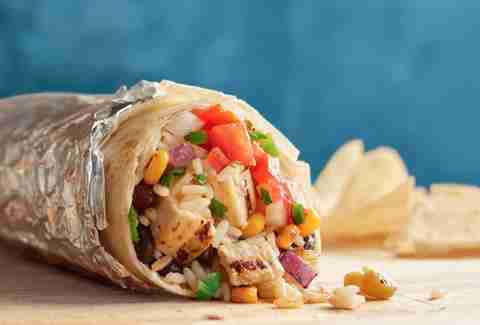 You'll find offers from Chipotle, Qdoba, Taco John's, and a bunch of other popular restaurants across the country that want to help you get burrito'd up. We've collected those deals. Here are the best deals you'll find on National Burrito Day. The deal: This chain's Burrito Day deal is simple -- buy a burrito, get another one for free. Just show this coupon and you'll be in a food coma in no time. The deal: This East Coast chain has a deal for its Burrito Elito loyalty program members to help celebrate the day. Buy a burrito or burrito bowl on National Burrito Day and you’ll get an email with an offer for a free burrito or burrito bowl on April 5. You have to use your Burrito Elito card when you order, though, and you have to redeem the freebie by April 12. The deal: With any burrito purchase, you can add chips, salsa, and a fountain drink for just two bucks. The deal: Order through the TJ app and you can get two for $4 beef burritos or $1 bean burritos at participating locations. The deal: Get free delivery on orders of at least $10 when you order through Chipotle's app or site. The offer is also available on orders placed through DoorDash. The deal: Celebrate National Burrito Day big Willy's style. Get a build your own burrito or bowl for just $4.04 at all locations. The deal is only valid in-store. The deal: It's not the most thrilling deal, but is a good one if you're a Qdoba Rewards member. Order food on National Burrito Day and you'll get triple points. The deal: Download the Del App and you’ll get an offer for a free half pound bean and cheese burrito with either green sauce or red sauce inside. You just have to make a $5 minimum purchase. The deal: Grab this chain’s signature bean and cheese burritos for $2.50 apiece at 40 participating locations. The deal: Follow this West Coast-inspired taco chain on Instagram, and they’ll give you free guac on your burrito for National Burrito Day. Just show the cashier that you follow them and you’re all set. The deal: Moe Rewards members can score $5 burritos and burrito bowls at participating locations with a coupon sent via email. The deal: Grande Burritos and Durango Burritos are discounted to $7.99. The chain is also offering happy hour all day long in celebration of the occasion, which makes this particular Burrito Day deal uniquely appealing. The deal: Burritos are 25% off. That’s all you need to know. The deal: All Rubio’s burritos are $5, but only if you buy a drink in order to qualify for the discount. Just show this coupon and a $5 burrito will be yours. The deal: Even gas station burritos are cheaper on National Burrito Day. Get a breakfast or lunch burrito at any Speedway location for $2 (they’re normally around $3.50). The deal: This chain -- with a bunch of locations in Texas and Arizona -- is serving $5 burritos all day. The deal: The travel center chain is debuting a new breakfast burrito at 240 locations across the country on Friday, April 5, which will start at $4 for two. To celebrate the launch, you can get a free breakfast burrito and a free coffee via an offer on the Pilot Flying J app on April 8. Then, from April 9-14, a separate app offer will be good for a free breakfast burrito on its own. The deal: Sign up for the chain's email list and you'll get a coupon that earns you a free signature sandwich (Arby's Reuben, Loaded Italian, Smokehouse Brisket, or any of its Gyros) with the purchase of a drink. The coupon lasts for just a week, though. The deal: Get 20% off a catering order with the code "TWENTYOFF." The deal: Get prepped for some sultry Easter baskets. Take 20% off orders of Mrs. Fields' Easter Collection with the code "BUNNY." The deal: In honor of National Grilled Cheese Month -- because it's always something -- Melt Shop has made the Notorious CHZ. It's a triple-decker grilled cheese with cheddar, Muenster, and pepper jack with a brick cheddar cheese spread, truffle mayo, and three slices of parmesan-crusted bread. It's on sale all month for $6.99. The deal: Online orders of at least $20 are 20% off with the code "FOOLS20." 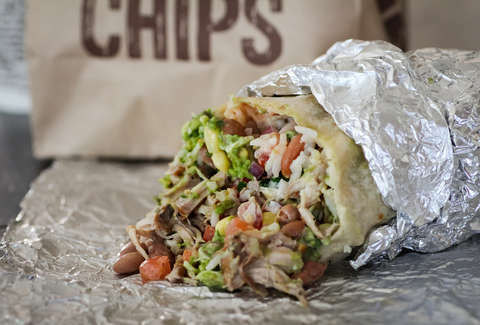 If you know of any National Burrito Day deals we missed, shoot us an email to news@thrillist.com and we'll add 'em here.